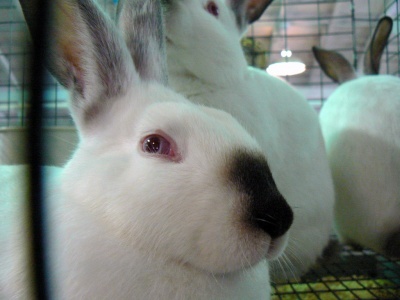 Himalayan Rabbits have the Cylindical Body Type, the only one in this category. While their origins are steeped in mystery, Himalayans are known by many names depending on where they come from – the Chinese, the Egyptian, the Russian, the Black Nose. 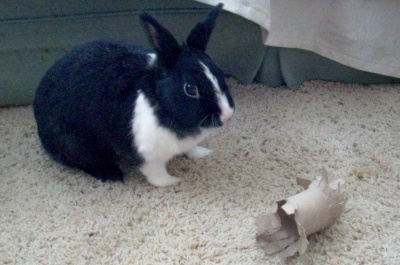 They are one of the oldest breed of rabbit known. Himalayans were introduced to the U.S. at the beginning of the 1900s. While black Himalayans are naturally occurring, crossbreeding has developed blues, chocolates and lilacs. Similar to the Himalayan cat, the nose, ears, feet and tail take on the colors while the body is white. Himalayans can live more than 8 years. Himalayans are calm, good-natured creatures. They are very playful and love attention. They are active rabbits and should have room to exercise. Activity is mainly in the morning and the evening. Himalayans are intelligent and quickly learn their name. They can be taught to go potty in a litter box. 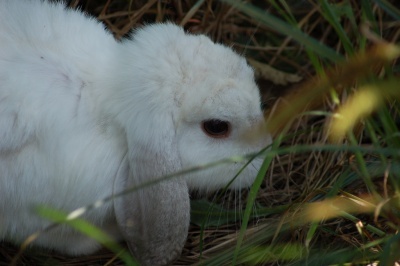 Himalayans are excellent pets for children as long as they are gentle when handling these rabbits or any rabbits.